It’s no longer a secret that high school athletic programs across the country are bringing in the cash. But it’s just how much cash they are generating that’s raising eyebrows. The power of sponsorships has never been greater at the high school level for athletic programs, but it still doesn’t come close to comparing to the amount brought in by college or professional organizations. Still, high school athletics are becoming a big business. There are many different methods programs use to generate money, but it’s becoming easier to find sponsors with the amount of exposure a school and business gets in return. Larger schools with more exposure will obviously bring in a higher revenue than smaller schools, but small schools are still holding their own nowadays. It’s hard to say that high school sports aren’t a big business when there are schools spending hundreds of thousands, or even millions, of dollars on stadiums. In fact, a high school in Allen, Texas recently spent $60 million on a high school football stadium. Everything is always bigger in Texas, and Allen has proved it with their new state-of-the-art stadium. The revenue streams are very similar to high schools and colleges. Companies are realizing how much exposure high school sports across the country are receiving, so they are signing naming deals on stadiums in exchange for funding. For example, the shoe company New Balance recently gave half a million dollars to help renovate a high school football stadium in Massachusetts in exchange for naming rights. What high school would turn that down? Television networks are also getting in on the action with more people following high school sports on a national scale. Time Warner Cable (now Spectrum), signed a 15-year deal with the California Interscholastic Federation for $8.5 million to broadcast high school football playoff games. With more fans attending high school sporting events than collegiate or professional events, don’t expect this type of money to stop coming in anytime soon. According to a 2011 report from the National Federation of State High School Associations, high school sporting event attendance exceeded 500 million people across all sports. Football gets the most attendance, when you consider it is a boys-only sport, with about 166 million fans. However, basketball tops the list at roughly 170 million fans combined with boys and girls games. Other sports with significant attendance include soccer at 24 million fans, baseball at 20 million fans, volleyball at 17 million fans and softball at about 16 million fans. Combining for roughly 30 million fans across the board include the sports of wrestling, swimming and diving, lacrosse, field hockey, ice hockey, track and field, water polo, cross country, tennis and golf. It’s worth noting that these numbers are for regular season attendance only. Another 40+ million people attend playoff events in these respective sports as well. These significant attendance numbers have garnered the attention of the companies mentioned earlier and businesses are more willing to provide sponsorship money as a result. While small schools may have to rely on donations from individuals or local businesses, it’s clear the larger schools are cashing in on the companies with deeper pockets. It’s only a matter of time before the small high schools get a piece of the pie as well. When networks like ESPN are getting involved in broadcasting high school sporting events, you know there’s good money involved as well. Schools across the United States are getting more exposure than ever before, especially when they have star athletes on the team. But of course, programs who win will get more attention, and hence, more money. Consider Mesquite Poteet High School in Texas, which went winless in football in 2008 and 2009. Those years, the school averaged roughly $44,000 in revenue. But when they won 12 games in 2010, the revenue jumped to almost $125,000 instantly. On a larger scale, Denton ISD is a typical powerhouse program in many sports in the state of Texas. When their school sent three teams across all sports to the playoffs and two to the state championship game in 2010, their revenue increased approximately $230,000 from the prior year. It’s examples like these that prove high school sports are in a good place, and the more national attention they receive, the more money gets generated. Now that you know the type of money that is in high school sports, you need to know how to get it. Obviously, the more exposure a high school gets, the more sponsorships they will receive. It’s only natural for a business to want their name displayed where the visibility is the highest. When a company can have their name mentioned on the radio or television broadcast, or listed in a newspaper, they will be more likely to support the program. Compare this to selling advertisements to put their company logo on a shirt, cup or other things to sell at the games. Traditional advertising on items like that doesn’t work anymore in this digital age. When high school coaches or administrators reach out to potential sponsors, they need to have something to sell. Studies have shown that sponsors want to know several things before they make a big money contribution. Those things include attendance for events, where their name will be displayed, the demographics of people who will see the advertisements, whether media coverage is offered and, of course, how the money will be spent. High schools who can answer those questions favorably and without hesitation will bring in the most revenue. Having a winning program across the board will also help the program sell itself. 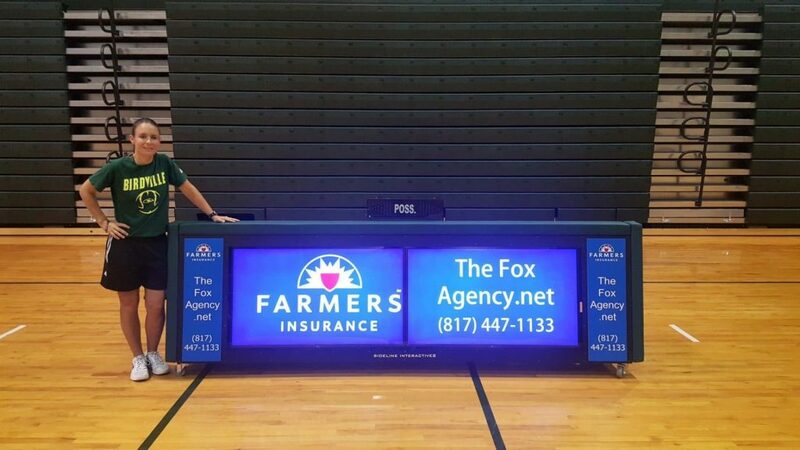 There are many different ways to get sponsorships in high school athletics. And if a high school isn’t taking advantage of this era of growth in high school sports from a sponsorship standpoint, then they are missing out tremendously.